Manya was a 72-year-old female widow, with one son, Peter, married to Belinda. Manya was a childhood survivor of the Holocaust who was hidden during the war and separated from her mother for several years. This traumatic experience affected many aspects of her life, such as her career choice. Manya was diagnosed with metastatic non-small cell lung cancer and Type 2 diabetes. She lived her last five months on the Palliative Care Unit at Baycrest Centre for Geriatric Care in Toronto, Canada. Manya suffered from a minor decline in her cognitive function which did not affect her current functioning or long-term memory. She understood her diagnosis and was realistic about her prognosis. Manya was referred to music therapy by the social worker on the unit for increased opportunities for social interaction and potential participation in this research study. The assessment sessions consisted of: gathering background information from Manya (in addition to what I had read about her from the medical chart and learned from the other interdisciplinary team members); discussing current issues and problems related to Manya’s illness and hospitalization; dialoguing about the potential roles and goals of music therapy sessions; discussing Manya’s favourite music; playing instruments and singing pre-composed songs; and discussion of this research study. Manya said she truly enjoyed playing the percussion instruments and she wanted to continue to take part in active music making in our sessions. She said that overall she did not have any major concerns, but she did have one period of her life that she felt “unrest” about. This was her childhood. She was open to the idea of using music to help her explore this time period in order to provide her with some closure and peace. Manya admitted that she had not really thought about the relationship she had with herself, so to speak. I suggested that we start the course of music therapy sessions by exploring her childhood and also beginning a life review, which Manya agreed to and was interested in pursuing. For Manya to increase her opportunities for social interaction by participating in music making, and discussion. For Manya to engage in play through the use of percussion instruments. For Manya to reflect, reminisce, and carry out a life review. For Manya to use music to enhance/facilitate opportunities for emotional expression. For Manya to complete her intrapersonal relationship. For Manya to improve her current quality of life. Sessions took place two times per week for approximately 60 minutes each. Manya received a total of 29 individual music therapy sessions. From the beginning of our music therapy process together Manya was very open to engaging in music therapy. From the musical techniques used in the assessment I learned that Manya was comfortable singing, playing instruments, and discussing her feelings and thoughts in response to the music shared. It seemed that she had a very good outlook and attitude towards her current illness and situation. She was not focused on her illness. She truly embraced her new opportunity and fully engaged in the music making process we undertook. She was intrigued by the music room and all she could do there. She was also very open and receptive to engaging in this research project and thinking about the relationship she had with herself. Manya was a very intelligent and insightful person and fully wanted to experience growth and healing at the end of her life. While Manya did not appear to overtly be suffering from PTSD as she was coping well, I do believe that she did in fact experience some of the symptoms as defined by the American Psychiatric Association (2000). Manya did have considerable unease regarding her childhood memories and the Holocaust, which caused her distress. She also began to show feelings of bereavement or mourning for a lost childhood that she had carried with her throughout her life. The majority of music therapy sessions that took part during this phase flowed back and forth between Supportive and Communicative / Expressive Music Therapy as defined by Dileo and Dneaster (2005). There was no set structure for sessions, other than a greeting song and a closing song which changed a few times over the course of our sessions. Music therapy techniques included instrumental improvisation, song choice, lyric analysis, singing and playing pre-composed music, and life review. Being a childhood survivor of the Holocaust, Manya stated in many ways that she did not experience a childhood. She did not remember playing with other children or having time to engage in typical childhood activities, such as colouring, skipping, or playing games. Manya spent the first part of sessions improvising on various percussion instruments, the xylophone, and the piano. I am free. I am free. I am a child now. After the improvisations we often processed the feelings Manya experienced during the music making and issues that arose as a result of the improvisations. Manya verbally shared her experiences of being a hidden Jew during the war. In her early adult years she had written a collection of poetry that represented some of her feelings and ruminations on her childhood days, which consisted of enormous losses. Manya revealed that when she was hiding during the war, she was not allowed to express her own thoughts or feelings. Manya had shared this poetry with very few people over the course of her life, and she now chose to share it with me. Manya explained to me that, for many years during the war, she felt she was an actress who was playing a role. She had to lie and pretend to be someone else. She was on the run and hiding. Some of the poetry that she wrote reflected those sentiments. As she realized her death was imminent, Manya expressed her desire to share her true thoughts and to break her cycle of silence. In week five – session eight we began discussing other time periods in Manya’s life as we embarked on the life review. In addition to improvisation, we also used song choice and lyric analysis to identify feelings, memories, and sentiments from various segments of her life. We sang and played many of these songs together. I suggested to Manya the idea of completing a musical autobiography, and she was fond of the idea. We decided that compiling the musical autobiography would help her to identify those issues and sentiments that would help her complete the relationship with herself. Specifically, she acknowledged that she needed to forgive herself about the “uneasy” feelings she felt towards her childhood reunion with her mother and her departure from her stepmother. In addition to completing the relationship with herself, we identified the importance of completing her relationship with her mother and stepmother by saying “I Love You” and added this goal to her treatment plan. 7. For Manya to complete the relationship with her mother and stepmother. The identification of this new goal led us into the next phase of music therapy sessions, in which Manya would complete the work needed to accomplish her goals of life review and relationship completion. It was an important initial step that Manya began her work in music therapy by exploring her childhood. Music therapy, and particularly instrumental improvisation, provided her with the safe space to explore what it is like to be a child and to play. Childhood was the one period of Manya’s life that she expressed anxiety and “unease” over, and in order to carry out her goal of life review it seemed appropriate that Manya began by identifying her issues and feelings regarding her childhood. Experiencing childhood provided focus, which was an important preliminary step to her work on relationship completion in our next phase of the sessions. Focusing. Duchen (1999) maintains, “a lost childhood is a reverberant theme in many survivors” (p. 214). Engaging in instrument playing, which was not something she had the opportunity to do as a child, enabled Manya to reflect on her childhood. As she stated, “It greatly enhanced my current quality of life.” Making music was important for Manya, as it supported her in accomplishing her goals, and enhanced her current quality of life through social interaction and participation in enjoyable and freeing music making. Improvisation allowed her to experience the childhood play, activity, and creativity she was never able to participate in due to her traumatic early years. Schlesinger-Baader (1999) confirms that many hidden child survivors of the Holocaust were not encouraged or able to speak of their depressing experiences, primarily because they did not have to go through the tortures of a concentration camp. In her support groups called “Children of the Holocaust,” Schlesinger-Bader has found amongst her members that previous reluctance to speak about the Holocaust experiences resulted from the idea that many survivors still perceived themselves as in hiding, so much was lost by not having a childhood, and the attitudes of their childhoods influenced their lives to a great extent today. Many of these persons suffered from sleep disorders and nightmares, extreme nervousness, frequent depression, and psychosomatic disorders. While Manya fortunately did not struggle with these symptoms, her early childhood experiences influenced her whole adult life greatly, both consciously and unconsciously. For example, they influenced the way in which she raised her own child, her career path as a social worker, and her desire to be heard. It was important that music and music therapy sessions provided the space and tools for Manya to feel comfortable to authentically present herself and show her true identity. Over the course of 16 weeks of sessions her music therapy consisted of both musical and verbal dialogue. Manya was very open to exploring and engaging in clinical music improvisation, and it played a central role in helping her explore and express all of her emotions and contemplate her life experiences. Through musical exploration Manya could finally release some of the sadness and unrest that she had trapped inside for so many years. According to Skar (2002), “Clinical improvisation frees the energy formerly bound up in the unconscious symbols and makes it available for conscious use … words are often [then] more readily accessible” (p. 635). Engaging in improvisation enhanced Manya’s ability to express her emotions about her childhood, and to now celebrate the glory of “liberty,” which is a word Manya often used to describe her music making. Similarly, Hatcher (2007), who worked with a client suffering from complex trauma, found that “songwriting bypassed his socially imposed self-image to access his emotions as if for the first time” (p. 126). My analysis was that music was able to access and release emotions for Manya much more powerfully than words alone had been able to accomplish through her previous writing, and this conclusion was based on Manya’s comments regarding the power of music and her engagement in the improvisational music making and process. Launching. Life review and reflection were launched in this phase of music therapy through our conversations, which were facilitated through song choice and lyric analysis. Manya shared stories here from various parts of her life, such as her marriage and the birth of her son. Life review was completed and addressed in depth through the completion of her musical autobiography in the transformative music therapy phase. In the transformative phase, music therapy sessions did not have a set structure, but continued to be framed by an opening and closing song. Music therapy techniques included songwriting, song choice, lyric analysis, singing and playing pre-composed music, and musical autobiography. After the war, Manya was reunited with her mother who was weak and suffering from tuberculosis. Manya remembered experiencing a variety of conflicting feelings at that time. She expressed genuine concern about how she had reacted at first to the day she was reunited with her mother. For example, she cried when her mother tried to pick her up, and clung to the “mother” who had looked after her during the war. Manya admitted it was all too much at the time for her to understand, but recognized the importance of addressing her feelings now to bring some resolution. Duchen (1999) speaks to the fact that after the war, numerous hidden children who were taken from their parents and families, many of whom died during the war, were now separated again from the caregivers to whom they had become attached during the war years. She states, “Those who were young had a much more difficult time than those who were older and more connected to their cultural and religious roots” (p. 213). Manya wanted to honour those two women and together we wrote two songs, one for each, praising their strength and courage. After writing the songs and discussing them together, Manya explained that she now felt better about that time period. While she was sad that she could not tell these women directly about the impact they had on her life, Manya felt the songs respected their memories and expressed the sentiment of “I Love You” to each of them. Manya stated that these were very personal songs for her and she did not wish the lyrics to be shared in the writing of her story. I suggested and played a few songs for Manya that reflected some of the feelings she had expressed regarding her childhood. We discussed the lyrics to these songs and Manya selected “Out Here On My Own” from Fame as a song that reflected not only her childhood but also several other periods of her life. As Manya became more familiar with the concept of creating a musical autobiography, she began to suggest songs to include and I played these songs for her. We discussed song lyrics and made decisions as to which songs to include. Manya said she would not describe herself as a “religious person” but felt that she was going to go to another place when she died. She was not sure what that place was or where it was, but she thought that she would experience childhood there, and in lieu of childhood, she would certainly experience “joy.” She chose the song “Over the Rainbow” as her song of transition from this world to the next. It had always been one of her favourite songs and she felt that it expressed her wishes as well as was a “Goodbye” to this world. Relationship Completion with Manya’s Mother and Stepmother, Songwriting. It is my analysis that engaging in songwriting allowed Manya to feel some healing regarding childhood, and ultimately helped her express the sentiments of “I Love You” and “Goodbye” to these two important persons. Manya felt good about her relationships with the key people in her life and she did not feel there were issues to discuss or work through. With respect to her son and daughter-in-law, they knew Manya would die soon and they visited weekly, and according to Manya used that time mostly to reminisce. I initiated the first selection in the compilation of the autobiography, but after that Manya’s creativity and connection to music were what drove the project. She suggested many songs and after we discussed the lyrics she chose to include the ones that were the most expressive. Compiling the autobiography helped her complete the relationship with herself. I chose to conduct the interview with Manya once we completed this phase of music therapy sessions. The interview took place during week 12, outside of our sessions that week. I transcribed the interview and brought it back to her for verification in week 13. I then composed the artistic piece of her story based on her music therapy sessions and the interview and brought it to her for verification in week 15. Her words comprise much of the artistic piece that I wrote to reflect her experience in music therapy sessions. 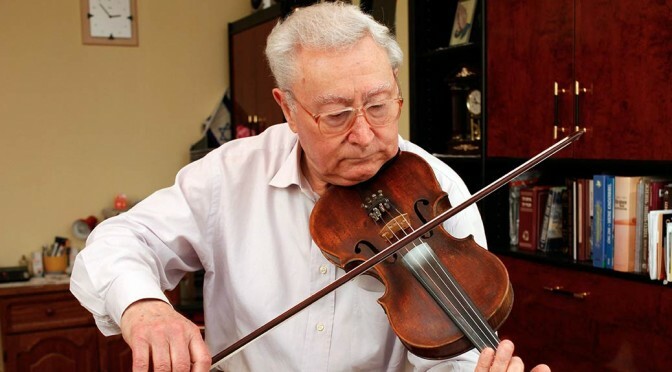 In this last phase of music therapy sessions Manya was starting to grow more frail and weak. At this time sessions involved music listening (consisting of me playing some of Manya’s favourite songs), improvisation (Manya improvising, and myself improvising during the last few sessions to help Manya relax while she was lying in bed), and listening to and discussing the musical autobiography and the songs Manya wrote. Interview. Manya appeared open with me in the interview. She spoke freely and conveyed positive experiences about being involved in music therapy sessions. She appreciated the power of music to help her come to awareness of her feelings and the power music had to help her express those feelings. Song choice and lyric analysis were two music techniques that she felt helped her in expressing herself. She also spoke of her enjoyment of drumming and improvisation. Last Sessions. I was able to provide music at the bedside for Manya to hear and to play some of her favourite pieces, which was a supportive way to end our time together in music therapy. She had worked so hard to accomplish her goals and I was glad that music could continue to provide her with pleasure and enhance the quality of her life in those last weeks and days, as well as provide for an environment for social interaction with me. Manya asked me to sing at her funeral. I was so honoured that she asked me and I, in turn, asked her what she would like me sing. She said, “You will pick the right piece. I want it to be a surprise.” I chose to sing “Over the Rainbow” as I thought this would respect and please Manya as she transitioned to her next place. The following music therapy techniques were utilized with Manya over the course of music therapy sessions: playing instruments, singing, improvisation, lyric analysis, song selection, life review, songwriting, musical autobiography, and music listening and discussion. As defined by Dileo and Dneaster (2005), music therapy with Manya was implemented at three levels of practice over the course of her sessions. Initially, music therapy was introduced at both the supportive and communicative/expressive levels to establish our therapeutic relationship and assist Manya in exploring her childhood and expressing her emotions about that time period. At this level of practice we also used music to facilitate discussion and expression of thoughts and feelings from the other time periods in her life, such as the birth of her son, her marriage, and career, and when we began that process we also began exploring more intently Manya’s relationship with her mother and stepmother. This moved us into the transformative level of practice, where we used music to help complete the relationship with her mother, stepmother, and with herself. It was here that Manya was able to express the key sentiments of “I Love You” to her mother and stepmother, and “I Forgive Myself” to help her complete the relationship with herself. After this work and our interview, music therapy transitioned back to the supportive level of practice and was primarily used to provide relaxation for Manya. Dileo, C., & Dneaster, D. (2005). Introduction: State of the art. In C. Dileo & J. V. Loewy (Eds. ), Music therapy at the end of life (p. xix-xxvii). Cherry Hill, NJ: Jeffrey Books. Duchen, S. (1999). Strengths and vulnerabilities of child Holocaust survivors. In P. Davis & J. Goldhar (Eds. ), A time to heal: Caring for the aging Holocaust survivor (p. 209-217). Toronto, ON: Baycrest. Hatcher, J. (2007). Therapeutic songwriting and complex trauma. Canadian Journal of Music Therapy 13(2), p. 115-131. Hilliard, R. E. (2001). The use of music therapy in meeting the multidimensional needs of hospice patients and families. Journal of Palliative Care 17, p. 161-166. Krout, R. E. (2000). Hospice and palliative music therapy: A continuum of creative caring. In C. Furman (Ed. ), Effectiveness of music therapy procedures: Documentation of research and clinical practice (3rd ed., p. 323-411). Silver Spring, MD: American Music Therapy Association. O’Kelly, J. (2002). Music therapy in palliative care: Current perspectives. International Journal of Palliative Nursing 8(3), p. 130-136. Schlesinger-Baader, L. (1999). Even survivors will not survive forever. How can we help them cope with their life today? In P. Davis & J. Goldhar (Eds. ), A time to heal: Caring for the aging Holocaust survivor (p. 223-230). Toronto, ON: Baycrest. Skar, P. (2002). The goal as process: Music and the search for the self. Journal of Analytical Psychology 47(4), p. 629-638. Starr, R. J. (1999). Alternative and complimentary therapies: Music therapy in hospice care. American Journal of Hospice & Palliative Care 16(6), p. 739-742.